The eighteenth-century philosopher Immanuel Kant is as daunting as he is influential: widely considered to be not only one of the most challenging thinkers of all time, but also one of the most important. 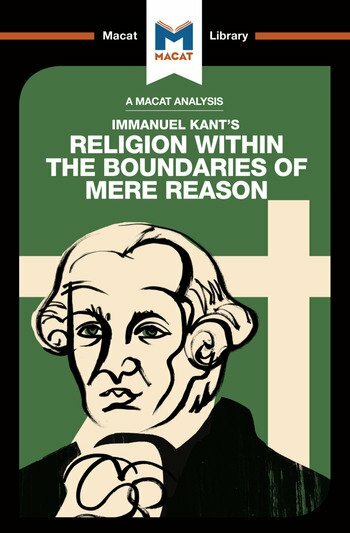 His Religion Within the Boundaries of Mere Reason takes on two of his central preoccupations – the reasoning powers of the human mind, and religion – and applies the full force of his reasoning abilities to consider the relationship between them. In critical thinking, reasoning is all about constructing arguments: arguments that are persuasive, systematic, comprehensive, and well-evidenced. And any examination involves stripping reasoning back to its barest essentials and attempting to get at the nature of the world by asking what we can know about God and morality from the power of our minds alone. Beginning from the axiom that God is, by definition, unknowable, Kant reasons that it is humans who bear the responsibility of creating the Kingdom of God. This, he suggests, we can do by acting morally in the world we experience – with a morality that can be shaped by reason alone. Dense and challenging, but closely and persuasively reasoned, Kant’s case for human responsibility shows reasoning skills at their most impressive.